THE BREAKDOWN DEEPENS… Seven years ago, Dr. Dana Perkins came to idyllic Shutter Lake seeking safety from a traumatic experience in Phoenix. She became the principal at Shutter Lake School–and found her refuge… until Sylvia Cole was killed and one of Dana’s best and brightest students, Vinn Bradshaw, confessed to the murder. A murder Dana is certain he didn’t commit. But who is he protecting? Why? Seeking the truth shatters Dana’s safety. Yet who could have predicted proving Vinn innocent would jeopardize her friends and neighbors… and expose so many secrets? Impossible to believe but that’s all it had taken for the idyllic vision of Shutter Lake, California, lauded by Country Living as the most perfect town in all of America, to prove perfection is a façade and all the safety and security sought and found in it had been an illusion. A shiver crept up Dr. Dana Perkins’s backbone. She stiffened against it, determined to reclaim her sense of security here. At the deli counter inside Stacked, a block off downtown’s main square, she ordered a grilled chicken sandwich with a side salad and a bottle of Evian berry-flavored water, then glanced over to the cluster of two-dozen tables. About half-full. A lot of people were having a late lunch today. Dana took a table surrounded by empties then settled in and reached for a sheaf of papers from her tote. She had been through the school records at least a dozen times, but maybe in the sandwich shop, she would be more objective, gain some new insight, and see something she had missed. Oh, but she needed to be certain she hadn’t missed anything. After Phoenix, to retain her sanity she had to be absolutely certain she hadn’t missed any warning sign. There had to be a reason this year’s best and brightest student had confessed to murder. Some logical, rational reason that Vinn Bradshaw, gifted future nanotechnologist, studious, popular basketball player, who exhibited nothing short of fantastic leadership skills, confessed. Vinn could not have killed anyone much less a prominent Shutter Lake founder’s daughter like Sylvia Cole. Nolan Ikard, about thirty, tall and lean with sandy blond hair and a handsome man’s confident swagger, paused at her table. Nolan owned The Grind, a coffee shop sharing a common wall with Stacked that Dana frequented every morning on her walk from home to the school. “Maybe we will.” Dana smiled. He walked on to his favorite table beside hers and next to the front window. How many times in the last year had she seen him staring out that window as if he had lost his last friend? She’d been tempted often to ask if he was okay, or to offer to listen if he needed to talk, but something had held her back. She couldn’t say what, but she always followed her instinctive urges on things like that. In his case, she hoped she didn’t live to regret it. Raised in New Orleans, Vicki Hinze began writing before Kindergarten but her journey to writing books included a lot of corporate pit-stops. Eventually, she settled in and her first novel landed an array of awards and on the bestseller list. With nearly 40 books published, she’s been back many times with awards in multiple genres and appearances on multiple bestseller lists, including USA TODAY. 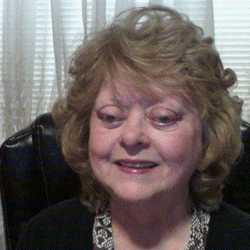 Vicki is recognized by Who’s Who in the World as an author and an educator and is best known for chilling suspense, trailblazing, and creating series that genre-blend. Her works include suspense, mystery and romance. Since 1994, this former VP of International Thriller Writers has written heavily about military and military families and in nearly all genres except horror. Hinze is a Floridian married to a former Hurricane Hunter/Special Operations Officer. She constantly pushes the boundaries on existing genres, opening the door for new novel blends. The authors will be awarding a $25 Amazon/BN GC to a randomly drawn winner via rafflecopter during the tour. 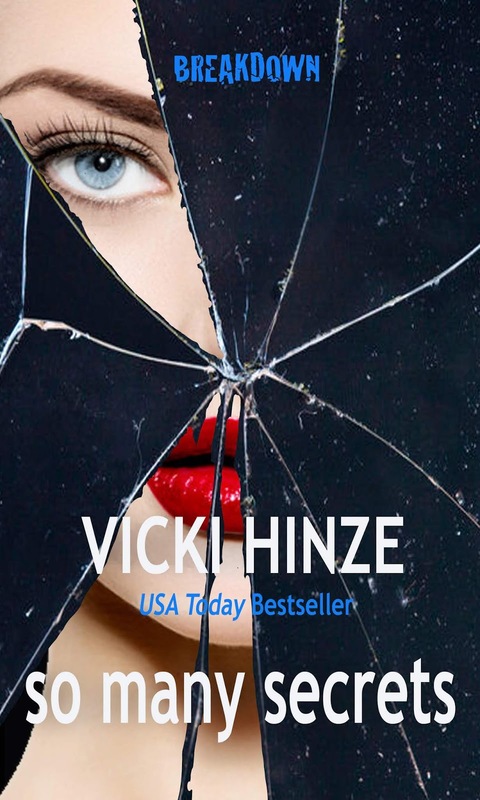 Posted on October 10, 2018, in Book Tour, Guest Authors and tagged #bookexcerpt, @vickihinze, BREAKDOWN SERIES, Goddess Fish Promotions, Vicki Hinze. Bookmark the permalink. 3 Comments.